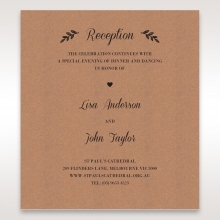 You will be delighted with this trifold wedding invitation showcasing delicate round-shaped doily designs. 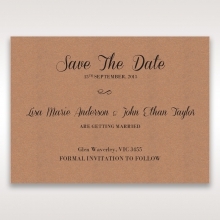 The romantic theme is evident with the intricate laser cut design mirroring a lace look. But, for further interest, the invitation itself is a trifold. 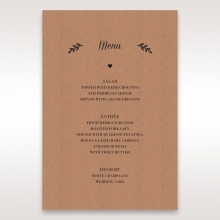 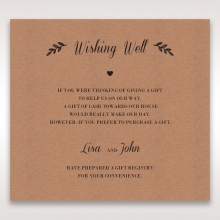 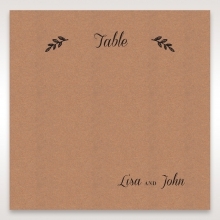 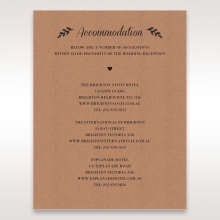 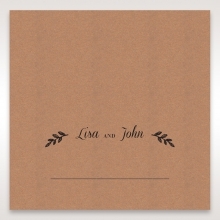 Your guests will lift the first fold-over which introduces the couple-to-be, to see the wedding details within. 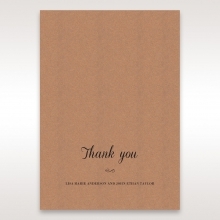 The bottom part then folds out to impart a special message to the guests. 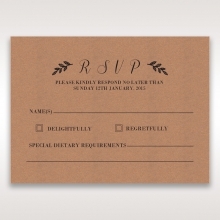 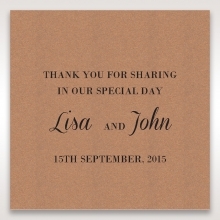 The laser cut details are also embossed to add additional interest and detail. 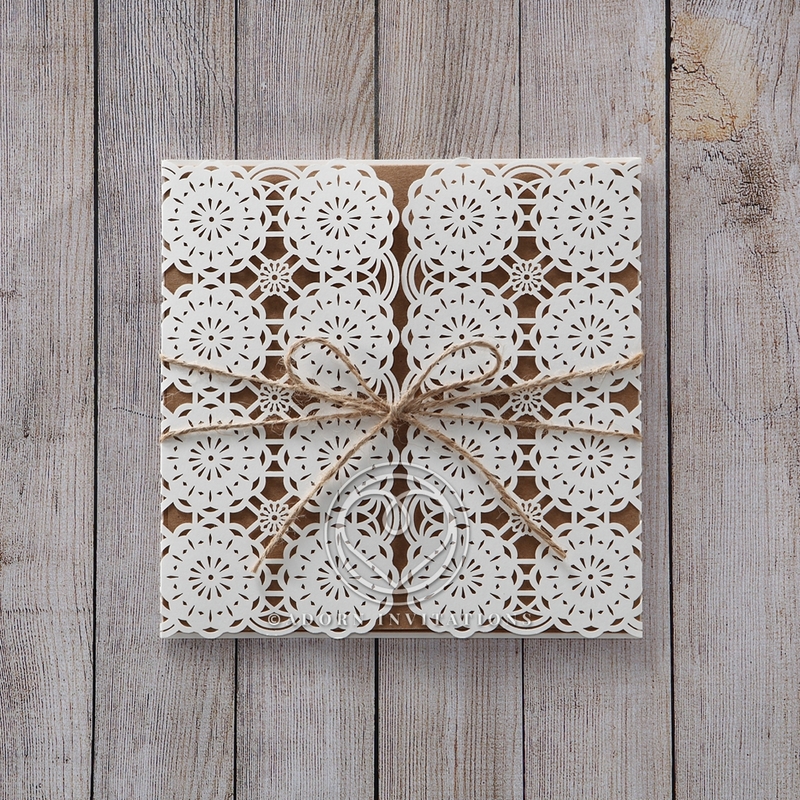 The high-quality cardstock of this invitation is smooth with a mattee finish, highlighting the wonderful detail of the lace surrounding the card.